"The Pandorica will open. Silence will fall"
If you had studied any Greek mythology, one would immediately link this interesting Doctor Who season 5 sub-theme, 'Pandorica' with Pandora of legend. In Greek mythology, Pandora was the first woman on earth, created and endowed by many of the gods (Pandora means 'all-gifted'. 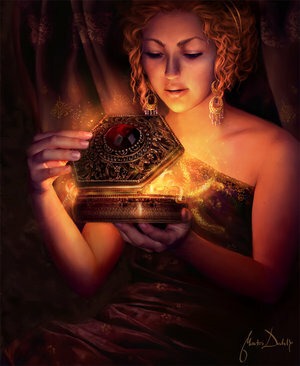 Long story short, Pandora had a jar which she was instructed not to open under any condition. Impelled by her natural curiosity, Pandora opened the jar, and all evil contained escaped and spread over the earth. 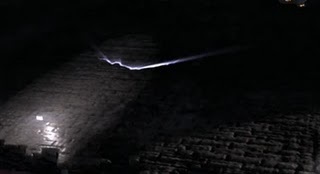 The Pandorica or crack we have seen to date in this season's episodes also have something rather ominous about it. The Eleventh Doctor first meets his new companion Amy Pond in "The Eleventh Hour", when she is seven years old. 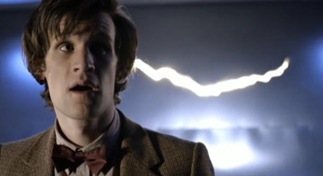 She complains about a crack in her wall, which the Doctor realises is actually a crack in the "skin of the universe". During its recapture by the Atraxi (big-eyed things they are), after escaping from one of their prisons through the crack, Prisoner Zero warns the Doctor after he had suggested Prisoner Zero open another crack to escape. Prisoner Zero replies the cracks were not its doing, but cracks in the skin of the universe, and taunted the Doctor over his lack of knowledge before warning "The Pandorica will open. Silence will fall". 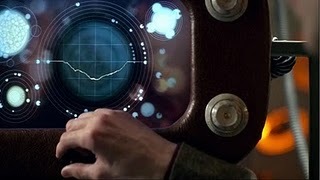 Further cracks, unseen by the Doctor or Amy, appear in the monitor on the TARDIS at the end of "The Eleventh Hour", on the hull of Starship UK in "The Beast Below" and a wall in the Cabinet War Rooms in "Victory of the Daleks". 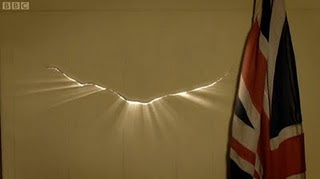 In "Flesh and Stone", a crack appears inside the control room of the starship Byzantium, and both the Doctor and Amy recognize its shape as that of the one on Amy's wall; Amy worries that the crack is following her in time and space. In "The Vampires of Venice", the alien cites the cracks as a reason for fleeing her home planet, as well as the means to do so. She also warns the Doctor "Through some of them we saw silence"
So what exactly is this crack, now named Pandorica ? The answer had not been fully explained, but it appears we are additional clues with each new episode. This is certainly the epic stuff that this season's finale is likely to be constructed of. To date, there appears to be only one singular crack, which can appear anywhere in time and space. 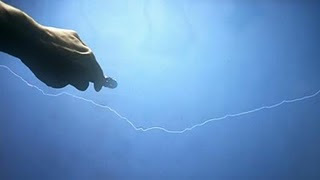 We also know that when the crack widens, it releases "pure time energy", which can remove individuals and events from history. We also know from from the "Flesh and Stone" episode that there may exist a possibility of closing it by "feeding" it a complicated space-time event (like a Time Lord, or an army of Weeping Angels - which by the way was great !). Chime in on your local fav forum or drop a comment here as to your speculation.